Campeggio Le Bois Joly si trova a Saint-Jean-de-Monts, Vandea. Questo campeggio dispone di piazzole delimitate, sia ombreggiate che, senza ombra e piazzole poco ombreggiate. Camping Le Bois Joly si trova nei pressi di una spiaggia di sabbia. È possibile affittare casemobili e chalet. Il campeggio dispone di un parco giochi e di un campo sportivo. Per gli sportivi, il campeggio prevede diversi percorsi in bicicletta. Ci sono un programma di animazione. Per chi desidera rilassarsi dopo una giornata intensa ci sono idromassaggio. Il campeggio dispone di un parco acquatico, una piscina scoperta, una piscina coperta riscaldata e una vasca per i più piccoli. C'è anche uno scivolo d'acqua presente. Non è sempre necessario cucinare, perché all’interno del campeggio ci sono snackbar e ristorante con menù poche portate presente. In campeggio è possibile acquistare pane fresco. Potete navigare su Internet, poiché il campeggio dispone di uno o più computer con collegamento a Internet, c'è un punto wi-fi e nell'80% del campeggio potete navigare con il vostro portatile. Ogni anno un ispettore visita il Campeggio Le Bois Joly, controllando oltre 200 tra attrezzature e altri punti di interesse del campeggio. L'ispettore è un dipendente ACSI e non lavora per il campeggio. An excellent campsite and one of our most enjoyable experiences. We were allocated a pitch but were told if we preferred a different one just to let them know. We found one with some shade and also access to the satellite for TV. There were water points on all the pitches as well as electricity. This was late June so the Bar, restaurant and take-away were open only on Fridays and Saturdays. Free WiFi was available in the bar and was acceptably fast. Paid WiFi was available on all pitches for a fee. The high point of the Camp site was the excellent swimming pool complex, with indoor and outdoor pools with a couple of chutes. The best part however, was the long \"Lazy River\" with a strong current running all the way round making swimming a dream. There was also a \"Space Hole\" chute for extra excitement. The sea front of St Jean de Monts extends for about two miles including St Hilaire de Reiz with hotels, restaurants and apartment buildings all the way along, as well as a two-lane cycle path. In high season I expect it would be very busy indeed, but in late June it was pleasant. The small town just a mile from our camp was delightful with an indoor and outdoor market an a good selection of shops and eating places. Super U and Intermarche were a further half mile away. Beautiful campsite just on the edge of town so a 10 minute walk into town and there are lots of bars and restaurants. It is about a 20 minute walk to the beach but it is well worth it with miles of golden sand.There are three very large supermarkets all about a 20 minute walk away. If you like cycling the area is criss crossed with cycle paths running the whole length of the vendee. The site itself is very well maintained and has a superb pool area,every pitch has its own water tap and electric post. The staff all speak good English and are very helpful. The bar,restaurant and take-away are only open at weekends in the low season. Outside the gate there is a hot baguette machine that is working 24/7. We stayed here for 5 nights late may/early june and highly recommend it. very pleasant site. Water & waste at each pitch. All pitches hedged. some very large outfits would need to choose the larger spots.easy cycle ride to st Jean de Monts and the sea front/beach. many cycle routes around, large Super U for shopping & fuel. friendly helpful staff. New swimming pool complex with water slides & Space hole chutes for the brave. We are satisfied to see that you appreciated your stay with us. Your message will probably help other campers to organize their holidays. Kind regards. 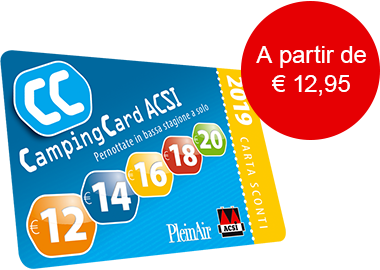 ACSI Eurocampings invia la tua richiesta di informazioni al "Campeggio Le Bois Joly".